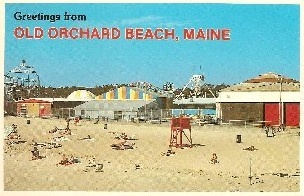 Jumbo Jet and Old Orchard Beach! I know that it is not too much information, but hopefully it will lead you to more! We do not have any photographs currently in our records, but if something turns up, I would be happy to forward along to you. 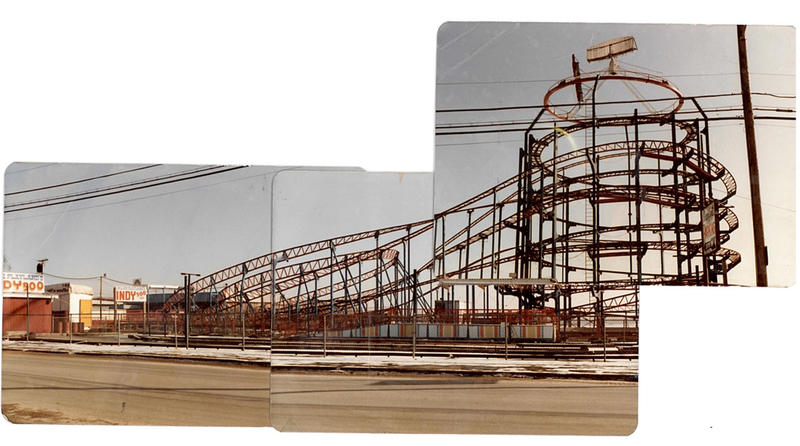 I find it interesting that the only pictures I have been able to find of Jumbo Jet at Palace Playland is a couple of postcards that were emailed to me…. My quest continues… Let’s Ride! Jumbo Jet at night by the beach! If your a regular reader of this blog you may have seen the post cards that ryanjm13 sent me. (The post was entitled “Greetings from…”). Now ryanjm13 did not know that my email address had changed and he had sent something to my old live account and just by chance I decided to log in and boy am I glad that I did. 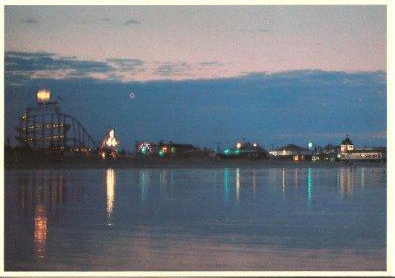 ryanjm13 writes here is a view of the jumbo jet lit up at night along old orchard beach. the radar antenna used to look really good at night especially when you can see it from far away along the beach How cool is that? Way Cool! Thanks out to ryanjm13 and make sure you send future emails to the new address! Let’s Ride! 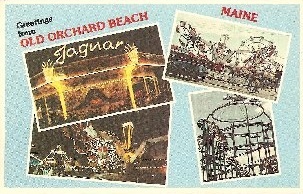 I have an old post card from old orchard beach (palace playland) and the JJ that they used to have is consistent with the one from CP due to the red track with blue supports and the same style sign mounted on the top. 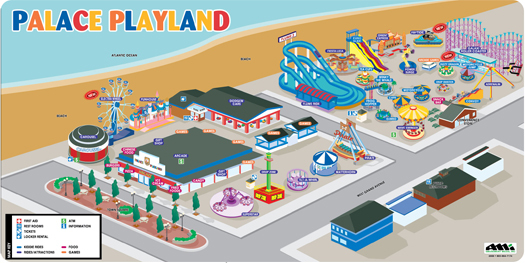 RCDB.com also lists Cedar points and Palace Playlands as the same one.